Looking for a large and trustworthy used van for sale? A great load mover could cost a lot less than you think. In fact, from £20,000 you can get a great large van for sale, with class leading economy, load capacity and comfort. Here are our top 10 favourite used vans for sale for under £20,000. 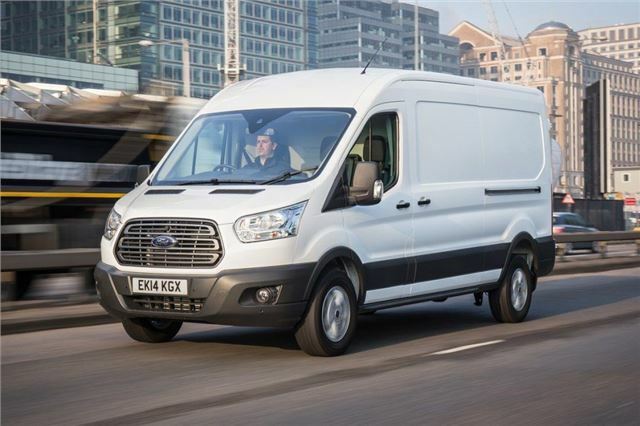 The Transit is the largest and best Ford van you can buy in our book. There is a huge choice of bodystyles and load carrying options, while gross vehicle weights peak at 4.7 tonnes. Heavy duty versions will also tow an additional 3.5 tonnes, which makes the Transit a hugely capable load mover. A budget of £18,000 - £20,000 will give you access to a rich choice of pre-reg panel vans and dropsides, with delivery mileage and the latest 2.0-litre EcoBlue diesel. If your budget doesn’t stretch that far then £15,000 should be enough to secure a 2016 model, with modest mileage and the older 2.2 TDCi engine.